^^congrats please post a photo of it here when you get it! 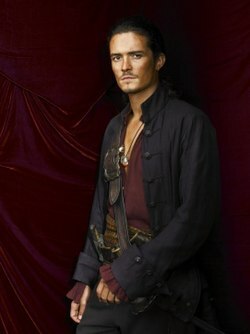 My apologies if this was answered elsewhere, but was this particular sculpt originally a Gowrow kit? I don't know, but i dont think so. GowRow has some really terrific kits... but they dont keep their webpage up to date... so maybe? 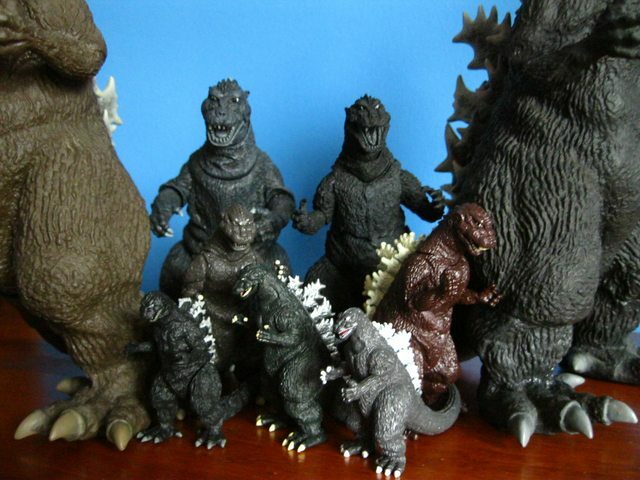 X-Plus did however produce other Gowrow figures prior to the upcoming Battra. 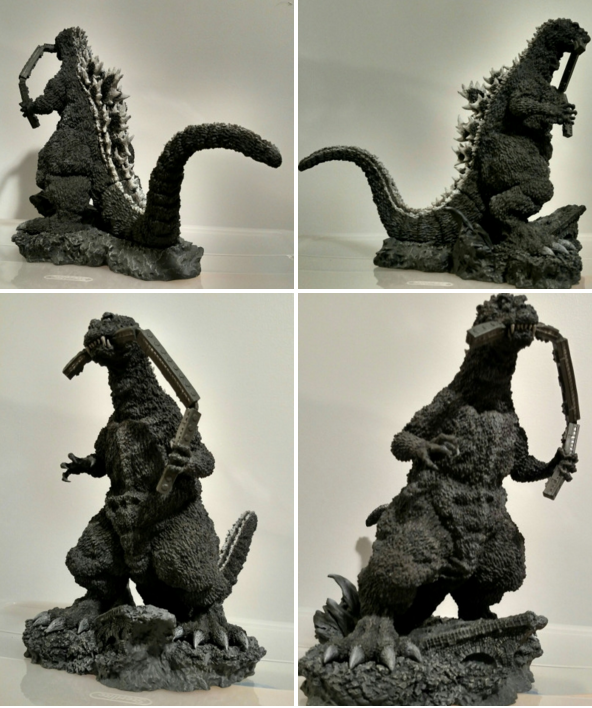 The sculptor for Gowrow is responsible for the Bandai Museum Yog trio, and a number of the X-Plus origin resin figures that were released from X-Plus USA as well as the Ray Harryhausen figures. 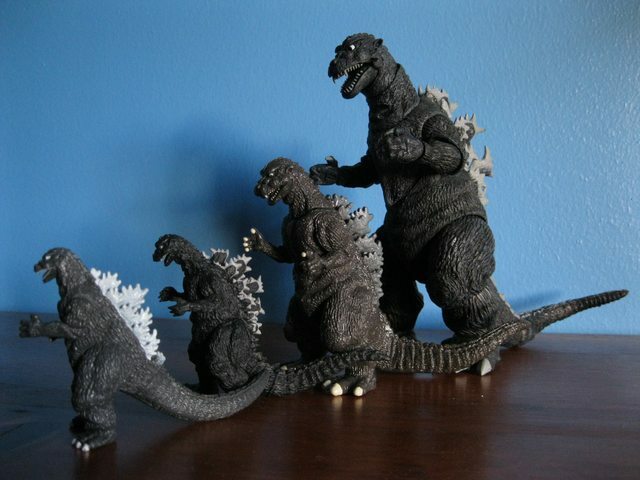 First up is my very first Godzilla figure; from before I could really even call myself a fan. Having seen the original film and loving the schlock factor, I received it as a birthday present soon after. 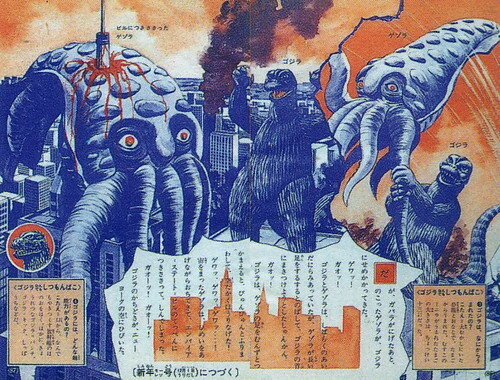 Even then, I could see it wasn't exactly like the one on-screen, but it's a fine representation to the unknowing eye. Detail wise, it's a really nice figure; even the hard vinyl feels very high quality. 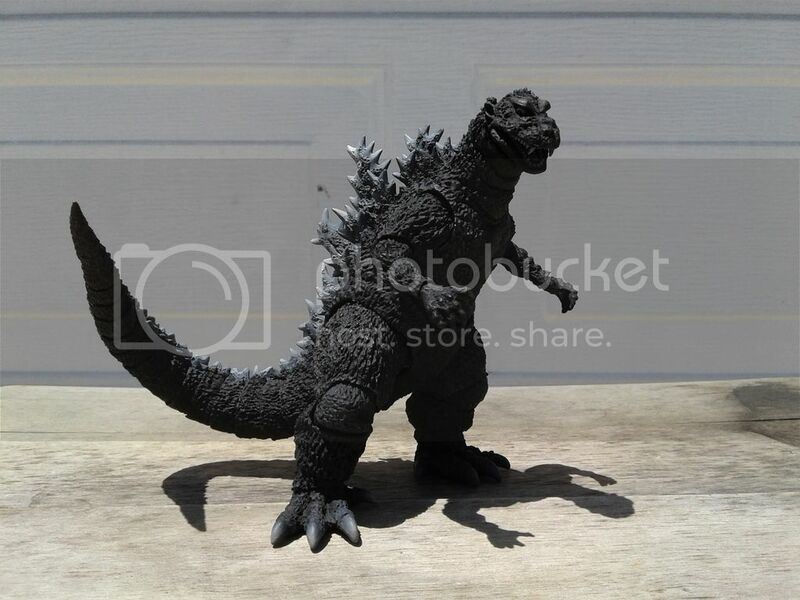 It's unfortunate the sculpt couldn't be as good; it looks like what a Heisei '54 would've resembled, what with those giant thighs and wide body. I equate it (and BC's 12" G'04) to the classic Imperial figure; far from accurate, but a nice general toy regardless. Next up is Toy Vault's goofy, yet cuddly mini '54. Fun story for this one; about two years ago, now, a friend of mine purchased the boxed up remains of a now defunct comic book shop; tons of stuff, and for a very reasonable price. 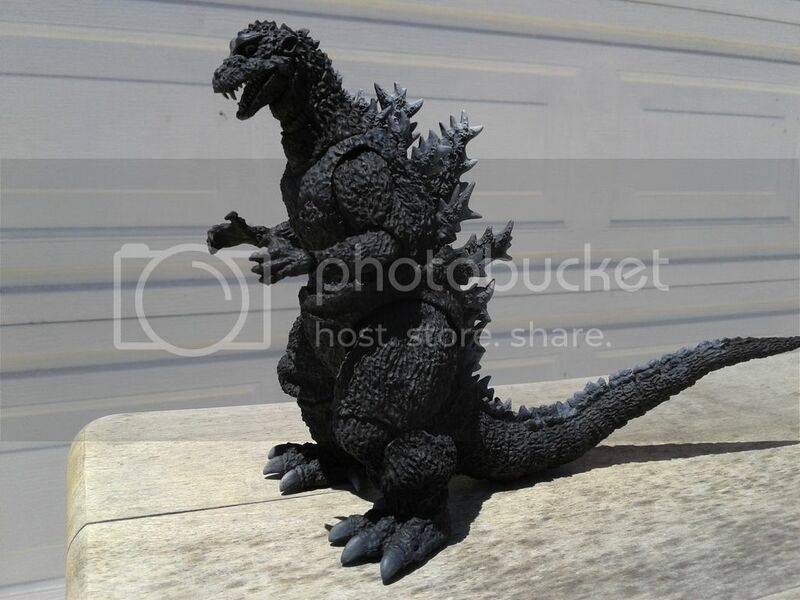 One of the many boxes was a goldmine of Godzilla merchandise, much of which will eventually appear here; Toy Vault's Hedorah, Bandai's '68 Anguirus, various Gashapon figures, even a couple Rocket Pro Gamera figures - and a ton more. As I helped him go through the process of unpacking and reselling, I got the whole box for free; and this is one of the many items from it. He's not all that attractive, but he's a neat little plush; sometimes I dangle him from various places a little ornament. He's not a beautiful toy, but he's cute. 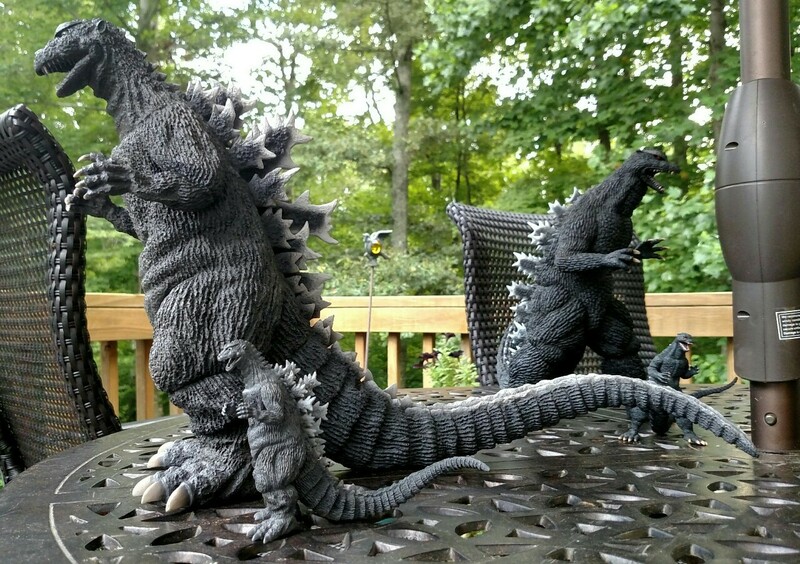 NECA's '54 is easily their best Godzilla figure so far, possibly after G'14. Thanks to the wonders of pre-orders, I was actually one of the first in the online community to get him - Here's my Reddit post of his arrival , and my review from when he came. 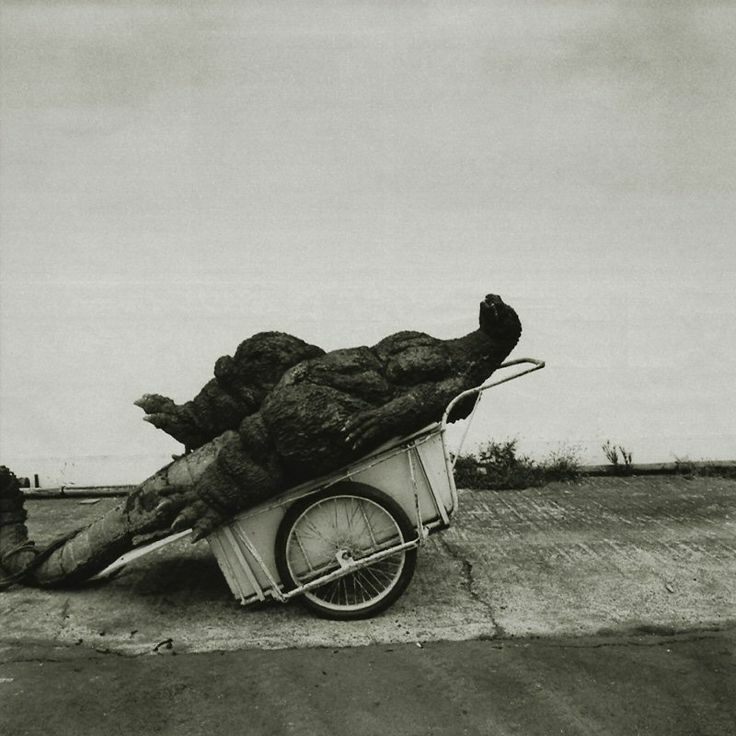 He's really a great toy; sturdy, and well done. One of my favorites in my collection for the simple quality of the figure. 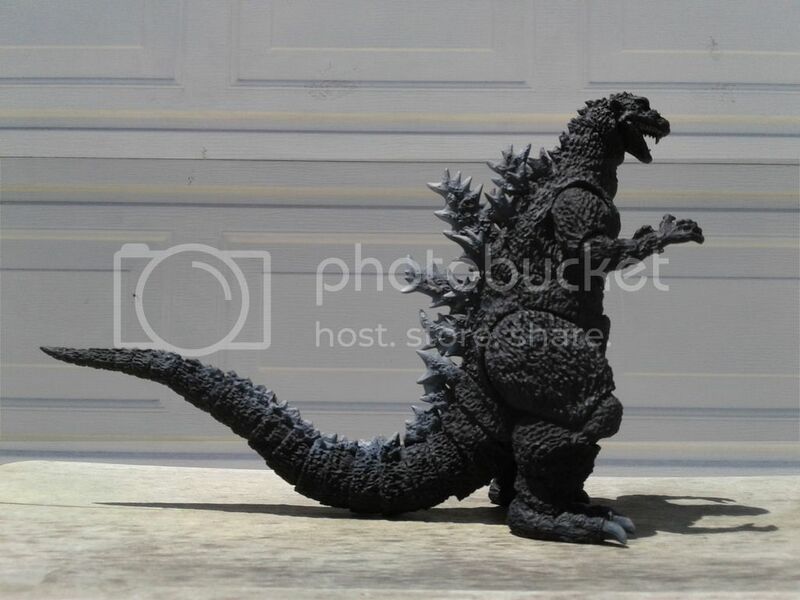 Next to GMK, think he'll be my favorite NECA Godzilla for quite a while. 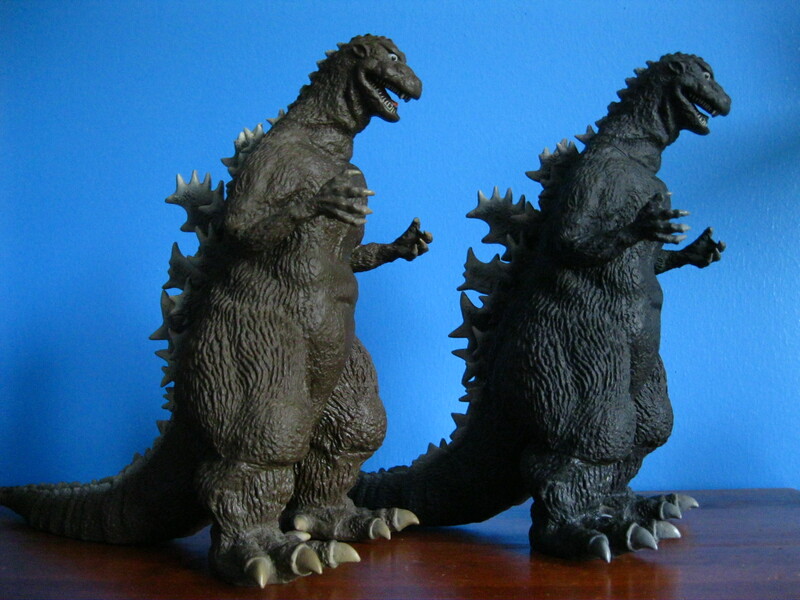 Lastly comes Bandai Creations original G'54 - which, surprisingly, is the better of the two. He's not totally accurate either, but in my opinion, he's fine for what he is (an attempt to recreate Bandai's better original version). BC's first wave wasn't absolutely impressive, but this was (and is) one of their better offerings. ebirahsmeg1 wrote: My apologies if this was answered elsewhere, but was this particular sculpt originally a Gowrow kit? Looks like it was from Ryu Oyama (the sculpter behind the Gigantic GMK) so it may have been released as a Kaibutsuya kit, but not a GowRow kit. I love this figure so much! ^Those are by far the best pics I have seen of the SHMA, especially that neautral pose you found. And those X Plus mini resins actually came out? Damn. tymon wrote: And those X Plus mini resins actually came out? Damn. I believe these are actually the most figures I have of a specific G suit*. 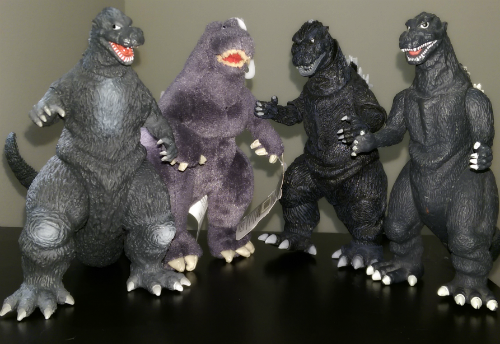 One of these days I hope to add the Banpresto to this. 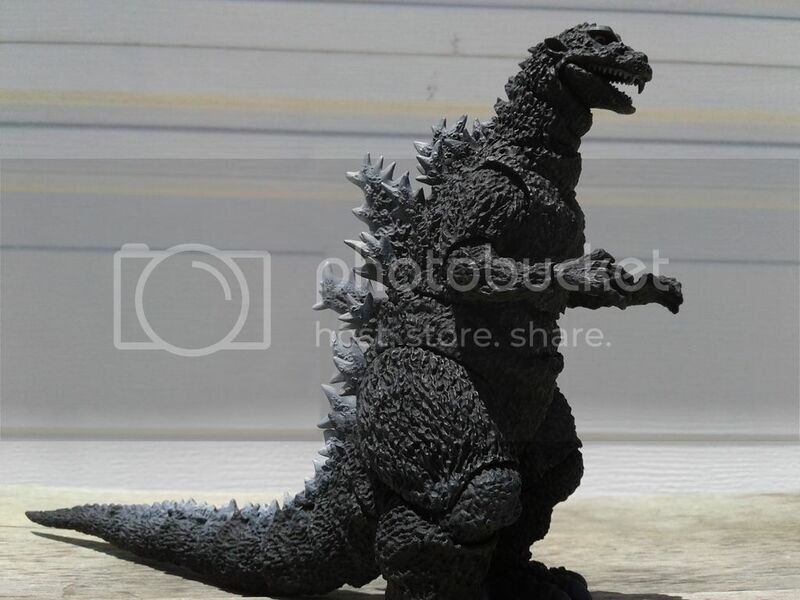 *Actually, I have one more figure of Godzilla 2014, but that's not a suit. Last edited by Rody on Thu Dec 01, 2016 8:31 pm, edited 3 times in total. Excellent set up! 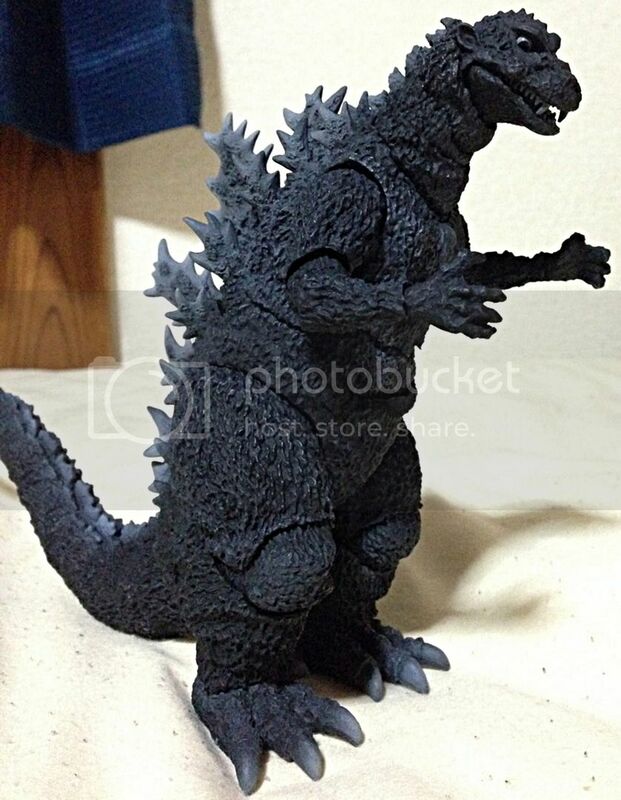 If I could make a recommendation, the Movie Monster Series Godzilla 1954 is also an excellent figure! 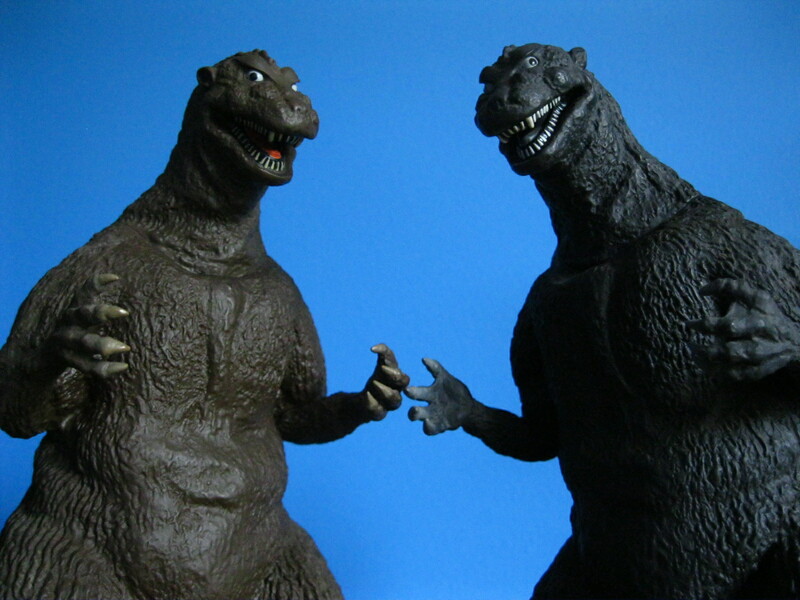 I've actually had the Banpresto one since I was a kid, if it's the one I'm thinking of (the large one that came in brown or grey?). We had a Japanese comic book store near my house (yes) and my dad saw it through the window covered in bubble-wrap, bought it, and blatantly left it under our Christmas tree exactly how it was. It made for an odd but memorable gift. NOTICE: the following post is strong evidence of the potential advantages to Facebook collector groups. 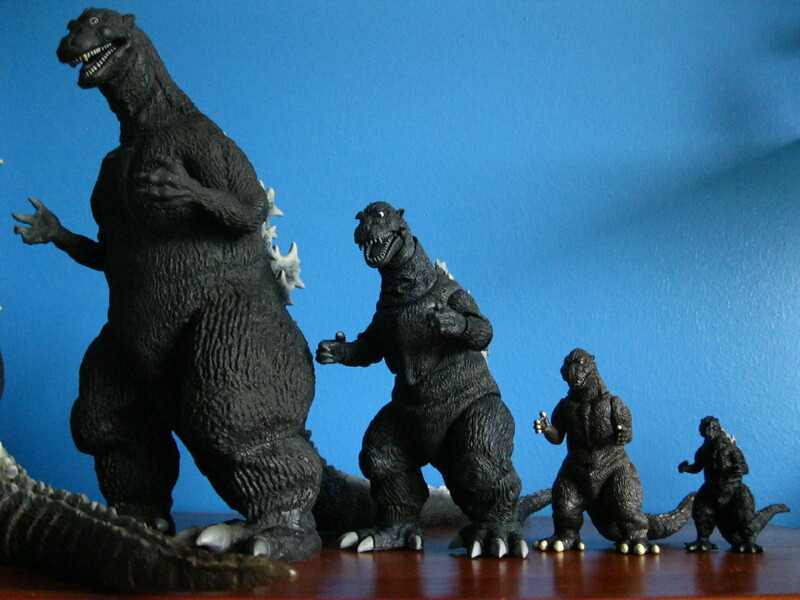 Just one month ago, I wrote: One of these days I hope to add the Banpresto to this. I did not expect an opportunity to obtain both variants so soon! They arrived a little smelly & sticky, but these figures are gorgeous. Last edited by Rody on Thu Dec 01, 2016 3:16 pm, edited 2 times in total. ^ The brown Banpresto G'54 was the stickiest piece of vinyl i have ever had. KlenSeven wrote: ^ The brown Banpresto G'54 was the stickiest piece of vinyl i have ever had. You know, it's funny, I have both of them, and while they're both in good shape, the fins of the brown one are sticky at the seams. Do you think it is the glue or something? How can I forget this thread when I got the gotdam Gigantic? Anyway, posed him next to cars, so you can intake the giganticness of this magnificent beast! 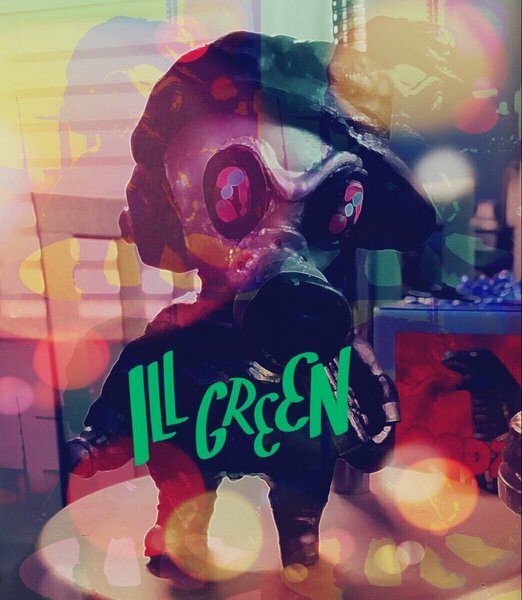 Last edited by ILL GREEN on Sun Jan 22, 2017 4:30 pm, edited 1 time in total. Two Banprestos, the NECA, the Monsterarts, two Hypers, and the 2016 High Grade. 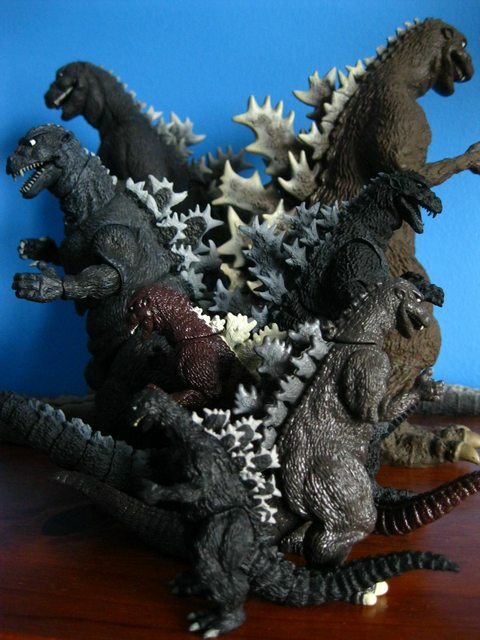 Shodaigoji is easily the dominant Godzilla in my collection now. That mini is amazing!!! I need it!! How much did it set you back?